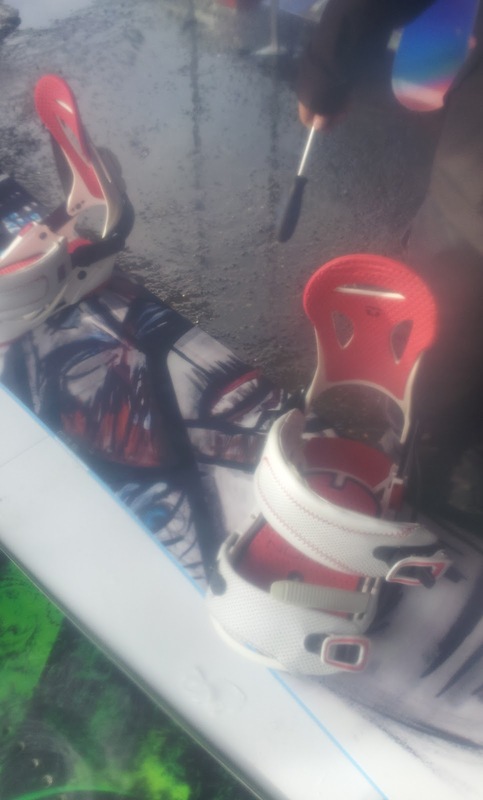 Stats/Setup: I'm around 6'1" and 165# and rode the 159 in Salomon Dialogue Boots (size 9.5) with Union Force SL bindings. The Ride: Like I said, the conditions weren't great, but when you want to test a board, you want to see how it handles the muck. The first thing i noticed was the flex. Not firm, but not too noodley either. It gets edge to edge really quickly and still butters well for a freeride board. Those pow butters you always see Travis Rice and Nicolas Müller do? This board is all over those. Thank the freeride Camrock: camber between your feet, rockered outside. I'd call it a 5/10 flex and a 5/10 dampness. It was easy to get bucked that day, but this board handled its fair share and maintained stability at speed. It also had a surprisingly lively pop. As quick as it was edge-to-edge, it also held those edges as long as you wanted with a serrated sidecut. That wavy edge with a few extra contact points keeps you locked on the line you intended instead of making that nail-on-chalkboard scratching sound so common on icy days. I didn't get a chance to ride this board in pow or on rails. Just looking at the specs it should handle the pow just fine. It has a long nose and 2mm of taper to sink the tail a little. Rails aren't exactly this boards intended audience. Bottom Line: I'm impressed with this offering from Yes. It was my first time on any Nidecker imprint and it has me sold. I'd take this board anywhere on the mountain and shred with confidence. Maybe after a while everyone will call me by my initials just like David Carrier Porcheron.